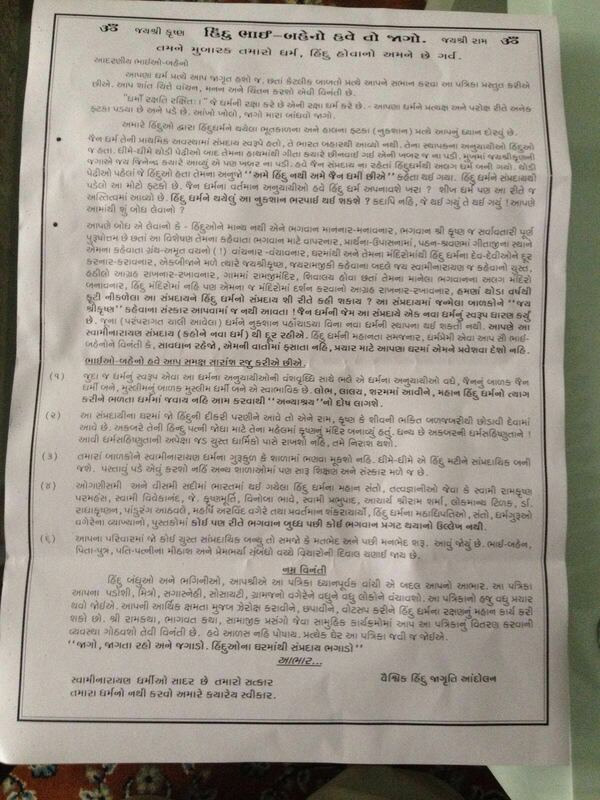 In all swaminarayan temple you will see RadhaKrishna statue..so dont spread your wrong message. I know Vishnu avtar is Ram Krishna. And kalki avtar will be birth…but now you see swaminarayan religion is high progresses due to blessing of god. Pradip Patel. Do you read Shiksapatri? Of course, swaminarayan religion is high right now; but before that there were people with ‘Swaddyay’, before that Kabir Panth; but where are they now. If you read shiksapatri please explain me slok 108. It’s a shame to see westerners falling in to the trap of these sadhus. Clearly they are looting you in believing false claims. You retards need a new perspective. Most of my relatives are swaminarayan and have tried to convert me thru various tactics. Don’t fall into their traps. Keep ur eyes open and don’t be afraid to tell them no. Pujya Pranukh Swami Maharaj has said,”in the joy of others lies our own” meaning “bijanu bhalu ma apadu bhalu” Maharaj will give the karma of the wrong things you are saying about Bhagwan Swaminarayan but let us not argue and set an example of our sanstha. As I have said to millions others and I m repeating here. You don’t need to worry about me, as I’m not worried about you. Truth doesn’t last long, you will see hour demise. 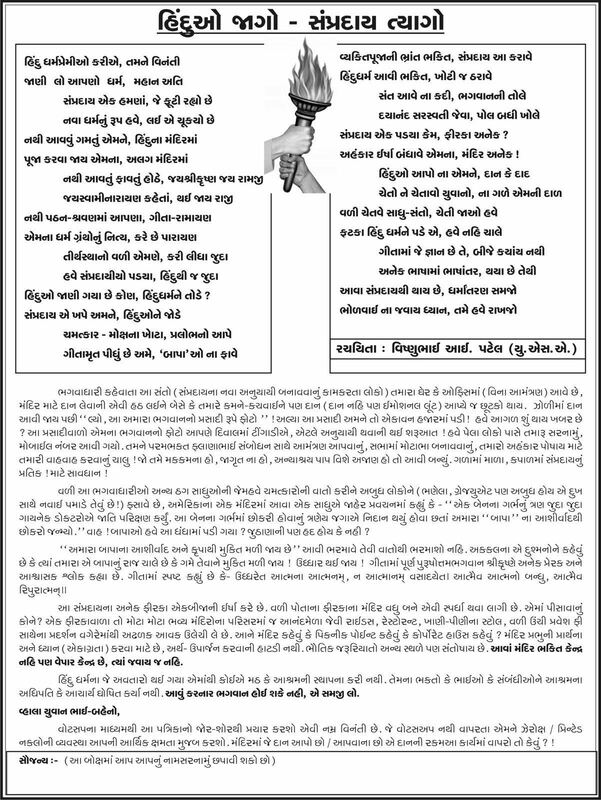 Read your shiksapatri written by your swaminarayan, slok 108 says, Shri Krishna is par bhram, and in your same baps temple you have Krishna listed as dev where as person who wrote shiksapatri as par bhram. Karma will pay back. And if I’m wrong I’m ready for all consequences. Im not here to fight, but educate. If you are willing, then please reply. hahahahahah. This cracked me up…. Man that’s some seriousness. Hahaha…. Bro let’s see WHO FINDS WHOM…..
Now swaminarayan assholes of baps are writing their own books to make their group seem real and the truth!!! FAKE FAKE FAKE FAKE FAKE BAPS IS FAKE! WORLD’S MOST FAKE PEOPLE. HOW can you write your own slokas? And yes you can find oh is it so??? ?Then come come …. Come to ahmedabad you even don’t need to work hard and I will provide you my address ….. Let’s meet face to face…. You can bark from Canada brother but can’t do anything else…. are you born stupid or recently became stupid?? You are so desperate to meet, I told you where I’m. Don’t worry kid your wish will be fulfilled soon enough. Don’t go hide that time. Don’t worry bro I will soon find you…. Asking the regional crime branch head who is a friend of mine to find about you and will make you cry with bloody tears…. You have completely cross es all limite by commenting on lord swaminarayan…. Now you know what abusive is. Don’t call me bro. I’m not your bro. hahahah and I will be waiting. But when I’m in ahmedabad, I will come find you for sure. THAT MUCH I CAN GUARANTEE.